Suits’ fiercest character, Jessica Pearson, is back, and she’s headed to a new city in a brand-new series that carries on her story in a highly anticipated spinoff. 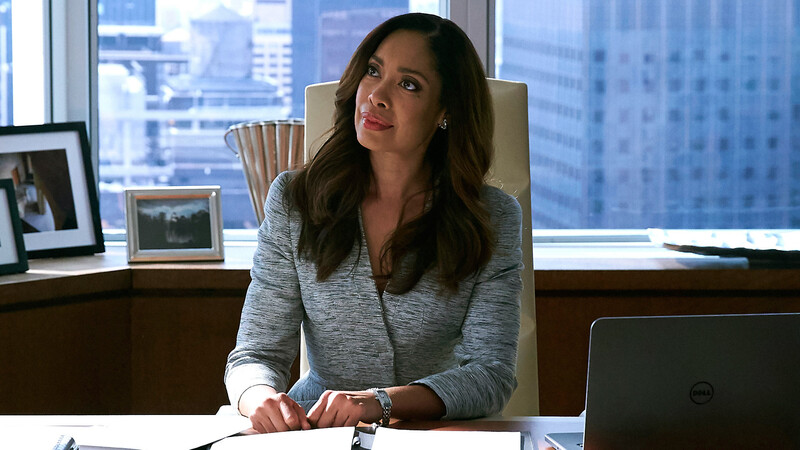 According to reports, Gina Torres’ Suits spinoff officially has a title, and it’s only making us more excited for the series’ debut. The new show will be aptly titled Pearson, and Torres’ character will continue her high-powered lawyering career in Chicago, where the political atmosphere is particularly seedy. Suits fans know that Torres’ character’s transition from New York City to Chicago took place in the original series’ season seven finale, during the same season that Meghan (née Markle), Duchess of Cambridge, left the show and her acting career to marry Prince Harry and become a British royal. This transition, which followed one season after Torres’ exit from Suits, created a backdoor pilot for the spinoff series, according to Entertainment Tonight. ET reported that although Pearson is set to premiere this year, there’s been no official release date announced yet. In addition to Torres, the cast will include Morgan Spector as Mayor Bobby Golec, Simon Kassianides as the mayor’s driver, Bethany Joy Lenz as another ambitious attorney, Chantel Riley as Jessica’s cousin, Isabel Arraiza as Jessica’s assistant and Eli Goree as the mayor’s press secretary. The Pearson cast is clearly excited to share the name of this awesome project, and we are just as excited to see them all in action. We eagerly await a premiere date, trailer and info about what’s to come.